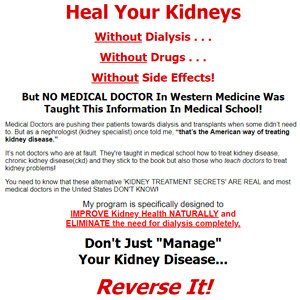 Before putting any patient on dialysis, doctors have an obligation to tell the patient that there is an alternative available, namely dietary treatment and close follow-up to watch for the other conditions that could endanger the patient with kidney failure. The low-protein diet is discussed in detail in Chapter 7, and other complications and their treatments are discussed in the following chapters. But let's explore the case for (and against) this alternative treatment that I advise as a first line of treatment. Let me explain the benefits of the low-protein diet and predialysis care. We have reported that in 76 patients, a very-low-protein diet with a supplement of amino acids or ketoacids safely defers dialysis for an average of more than one year. Good nutrition was well maintained during this time, despite the low intake of protein. This is critical, because protein malnutrition at the start of dialysis bodes ill for survival. A similar study was conducted by French researcher Michel Aparicio and colleagues. They treated 176 patients with the same diet and supplements and confirmed our results. In both studies, serum albumin level (an index of protein nutrition) was well maintained despite the low protein intake; subsequent mortality of these same patients on dialysis was not increased; on the contrary, it was surprisingly low. Three other studies confirm these findings. By contrast, 60 percent of patients entering dialysis nationwide in the United States are malnourished, as shown by their subnormal serum albumin levels. Since 1983 I have treated 129 patients with a supplemented very-low-protein diet. At the start of their diet, the patients' serum creatinine levels, which measure their level of kidney failure, averaged 4.2 mg per dl. (The normal level is less than 1.5 mg per dl.) Despite this severe level of kidney failure, at least one-third of these patients have succeeded in deferring dialysis for over 40 months. Compare this record with the data on the interval between diagnosis of renal failure and the start of dialysis in all the patients who started dialysis at Johns Hopkins and at Royal Victoria Hospital in Montreal over a period of seven years. Their average serum creatinine at the time of diagnosis was 4.7 mg per dl. By 10 months from diagnosis, with essentially no treatment, nearly half of them were on dialysis.